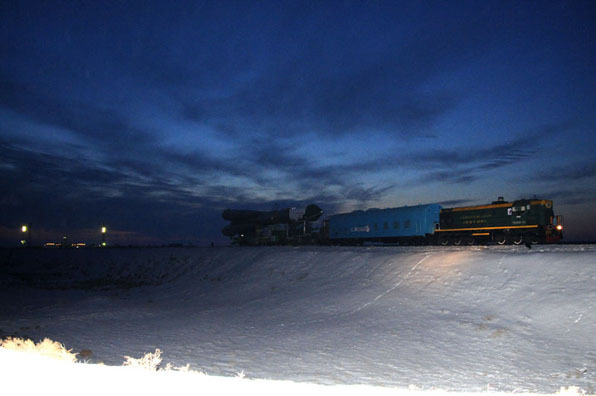 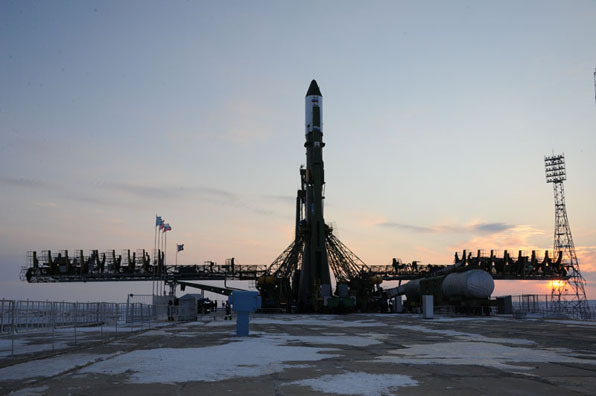 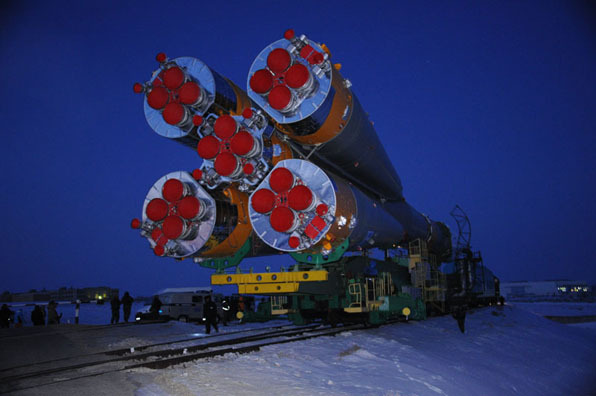 The Russian Soyuz rocket topped by the next resupply freighter this morning rolled to the Baikonur Cosmodrome launch pad and took aim toward a rendezvous with the International Space Station. 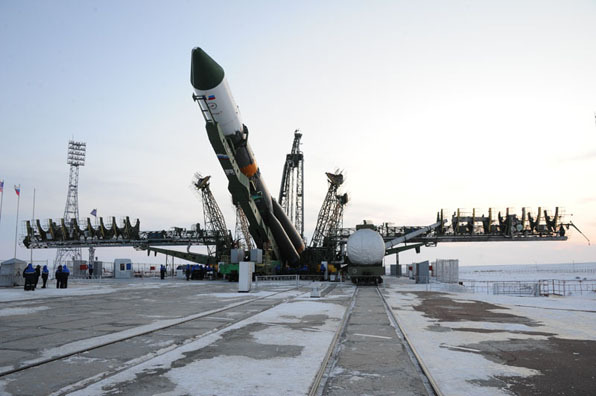 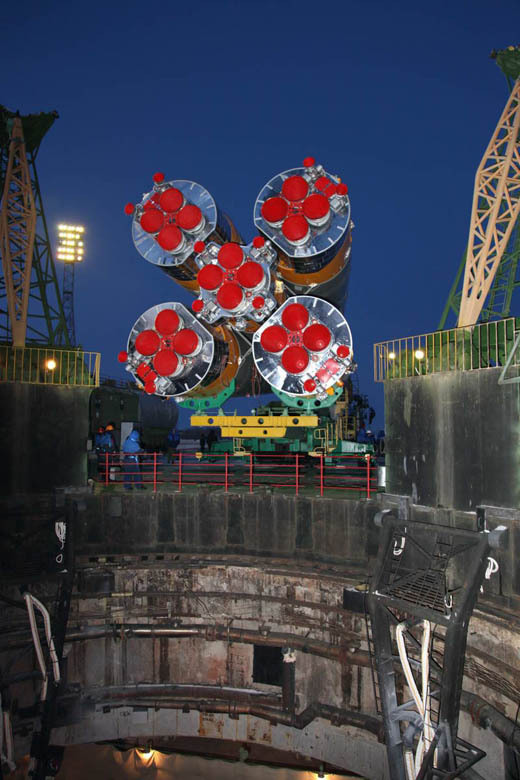 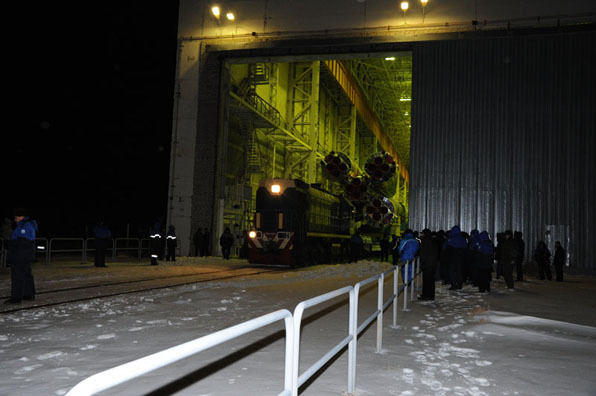 Wednesday's liftoff is scheduled for 6:06 p.m. EST (2306 GMT) to propel the Progress 46P cargo vessel on its two-day pursuit of the orbiting complex. 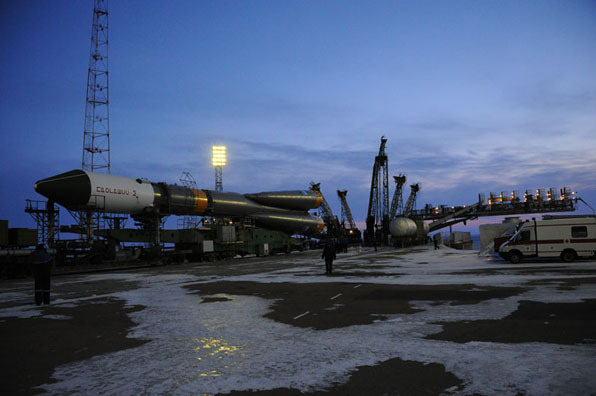 Docking to the space station is expected Friday around 7:08 p.m. EST (0008 GMT). 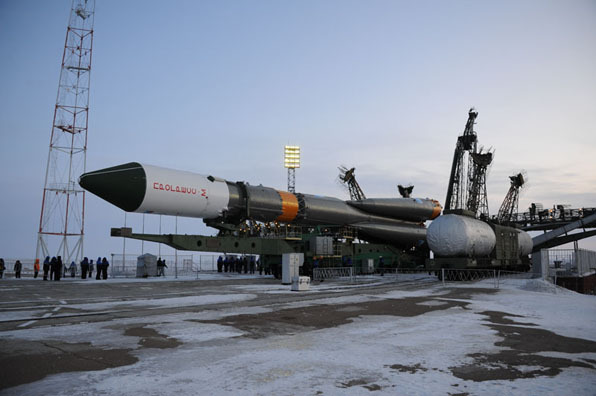 The freighter is carrying 2.9 tons of food, fuel and supplies for the orbiting outpost, including 2,050 pounds of propellant, 110 pounds of oxygen, 926 pounds of water and 2,778 pounds of spare parts, maintenance items and experiment hardware. 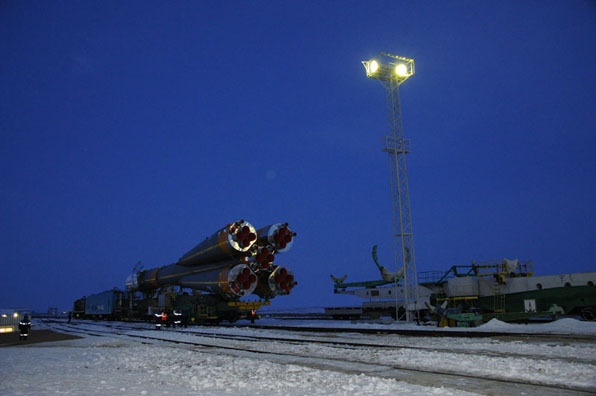 The photo collection below shows the booster traveling aboard its railcar from the final assembly building to the pad, then being hydraulically erected to stand vertically.